Frederick Joseph Miller was born on 4 January 1926 in Surry Hills, Sydney, son of F E Miller (possibly Francis Edmund Miller). On 7 October 1944 he married Phyllis Elizabeth Scales, sister of Barbara who was the wife of his fellow Alderman and Surry Hills friend Len Devine. Fred Miller and his wife had four daughters. Fred Miller died at Darlinghurst on 1 May 1992, survived by his wife and daughters. His well attended funeral was held at St Mary’s Catholic Cathedral. Fred Miller was born in Surry Hills in 1926, and lived there all his life. He was educated at Bourke Street Public School and Sydney Technical College. He worked as a plumber for 12 years and was employed as a health patrol officer by the Health Department of South Sydney Council. From 1969 to 1974, he worked as an inspector for Sydney Council. He joined the Surry Hills branch of the Australian Labor Party and served as its secretary for 13 years. From there he rose to the positions of secretary of Phillip Federal Electorate Council (FEC) and later became President of the East Sydney FEC and Sydney FEC. He was also a member of the Australian Labor Party central executive for nine years. He was the foundation president and a life member of the Sydney Labor Club. His recreational interests included golf, fishing, swimming and rugby league. Miller had a long record of community service and dedication to the needs of the aged and underprivileged people, youth problems, conservation, child care, and homosexual law reform. After leaving the Parliament he served as co-ordinator of the police gay liaison unit and promoted greater tolerance, education and understanding throughout the inner city community. He was an advocate of including discrimination against homosexuals in the anti-discrimination legislation. Fred Miller was elected a member of the NSW Legislative Assembly for Bligh from 19 September 1981 to 5 March 1984. 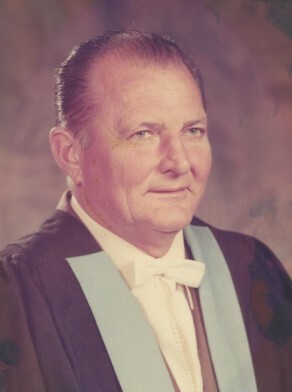 Fred Miller was Alderman for Flinders Ward 17 September 1969 to 20 September 1974. He was a member of the Works Committee and the City Development Committee from 1969 to 1973 and the Finance Committee and the Community Services Committee in 1974. He was a member of the Australian Labor Party.